Jewel @ Buangkok is the newest residential condominium at the heart of Buangkok Drive, Singapore District 19. 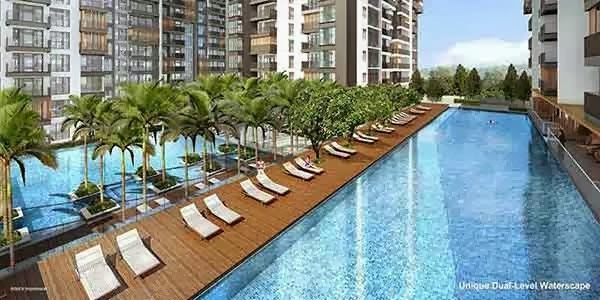 It is developed by the prestigious White Haven Pte Ltd with state-of-the-art architectural design integrated with a resort-like setting. Its TOP is in year 2017. Jewel @ Bunagkok showflat is available for preview by appointment. This praiseworthy establishment holds 6 blocks of high rise buildings with 616 sophisticated unit mix of 1 to 5 bedrooms of condominium spaces and penthouses. Jewel @ Buangkok offers a tenure of 99 years. Your investment here will yield you with high capital appreciation in the future. The tempting balance of urban and comfortable living can only be found here at Jewel @ Buangkong Location!